There are various options to consider when deciding where to host an unforgettable bachelorette or bachelor party. 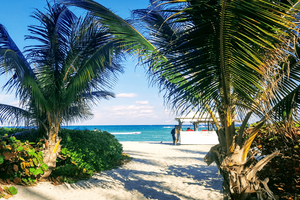 HORA Vacation Rentals is an onsite resort property management company in Miami Beach offering luxurious accommodations that are directly located on the beautiful white sandy beach. HORA’s properties located within The Alexander Condominium are perfect for your event. The Alexander is among Miami Beach's most popular destinations. Located in Mid-Beach, also known as Millionaires Row, The Alexander provides you and your guests with breathtaking views of the Atlantic Ocean and the Intracoastal waterways, bay, city, and marina. The moment you enter the lobby and see the magnificent chandeliers and classic grand staircase you will be quite impressed. 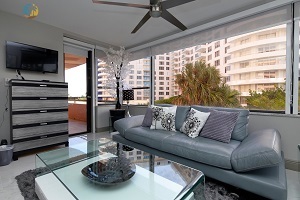 In addition to our luxury condos with stunning views, the Alexander is well known for its boutique charm and warmth. The Alexander is in its last phase of a 25-million-dollar renovation resulting in an even nicer resort. The Alexander offers spacious apartments to accommodate large groups. Different than taking individual hotel rooms, the condominium can accommodate your bridal party in a single suite or adjacent units. You have the option of a 2-, 3-, 4-, or 5-bedroom unit. Every suite is over-sized and brimming with amenities such as a full kitchen, living room, dining area, bedrooms for all to sleep, and a balcony overlooking the ocean, city, or bay. Once you have determined the number of guests participating in your party, a HORA representative will help you choose the perfect accommodations with bedding configurations that will provide maximum comfort. During the day, socialize in your spacious apartment, relax on the beach, or take a dip in one of the pools or hot tubs. You can have a personal chef provide cooking demonstrations, a massage therapist provide in-suite treatments to the bride and bridal party or just enjoy the privacy and play some party games. You can also spend the day out on the water with your very own boat or yacht rental. With the easy-to-use boat rental site Sailo, you can enter your location and the features you're looking for, and sort by price to find the option that's best for your group. Then in the evening explore Miami Beach’s most popular nightly attractions, including Miami’s trendiest nightclubs and other entertainment areas, dining experiences, and shopping areas including Lincoln Road and all that South Beach has to offer. If you are willing to venture a little further from the resort, experience music and Cuban food at Estefan Kitchen, a 1950s Cuba-themed restaurant owned by Gloria and Emilio Estefan. As for nightlife, you’ll probably want to hit LIV less than 9 blocks away at the Fontainebleau Hotel or one of Miami's many other world-famous nightclubs. Looking for something more laid back? You’re in luck, a low-key Miami Beach night can be spent at beachfront The Confidante, where Nina's Game Night is held every Thursday, with arcade games, ping pong, foosball, and throwback tunes. Let HORA help you plan a bachelorette party that provides memories you can cherish for a lifetime.